A new study published in the journal Cell Reports suggests that high levels of saturated fat in the blood could increase a person’s susceptibility to tissue damage and inflammation. For the study, Imperial College London researchers investigated mice with abnormally high saturated fat levels in the blood. 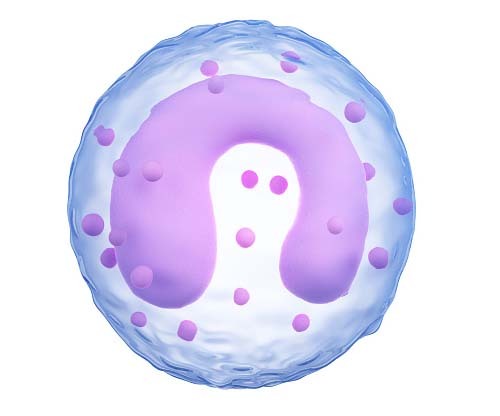 As a result, a type of white blood cells called monocytes migrated into the tissues of vital organs. It is suspected that the new monocytes may worsen tissue damage since they could also harm underlying or ongoing inflammation. Researchers discovered that when the organs absorb fat, the majority of the migrated monocytes are transformed into another immune cell called macrophages. Furthermore, some of the tissue cells will take in fat, and turn into “foam cells.” The macrophages and foam cells will then stimulate production of CCL4—a signaling molecule that attracts greater monocytes to the tissue. The process continues as long as there are high levels of saturated fat in the blood. Researchers also believe that the mechanism may have evolved to include removal of fat from the blood to help maintain a strong balance. “It’s really exciting to see that the monocytes that migrate into tissues are all of one type and that means we actually may be able to develop drugs that change this behavior,” added Dr. Woollard. It is thought that those at risk for cardiovascular disease could receive a drug that targets monocytes to prevent future damage caused from fat buildup in the organs and blood vessels. Saja, M.F., et al., “Triglyceride-Rich Lipoproteins Modulate the Distribution and Extravasation of Ly6C/Gr1low Monocytes,” Cell Reports, 2015, doi: 10.1016/j.cellrep.2015.08.020. “Health risks of saturated fats aggravated by immune response,” ScienceDaily web site, September 3, 2015; http://www.sciencedaily.com/releases/2015/09/150903131408.htm.